" Best cloud based application for people working in team"
Best application for people working from remote area, those who can’t access their internal server can make use of this application to work efficiently. This application is like a single place where you can manage secure, share changes and govern all of the content for your internal and external teamwork and helps keep eye on the work processes. The auto save system would make task easy for multiple users working at a time on single document/ file. Its conversional method of folder system help user to feel user-friendly as files can be easily download and upload. It has ability to show the changes made by latest users. It made my job easy whenever I need to update an excel document with work progress form client location as multiple users access the same document across the country. Signing up process is bit complex as it takes time to open the folder, sometimes it also depends on the speed of the internet you are working with. We don’t have straight forward option for copy, paste and create folder (normally we use “right click”-We need to use dashboard for this). If you are working in multiple folder structures very tedious to upload/download the files at appropriate location. I would recommend for the people working in team remote location and for multiple users working on single document. "Migrate all your cloud data from anywhere using Box Shuttle." Best thigh to like about Box Shuttle is the ability to help you migrate large amount of data from an existing file server or cloud data source. One cannot forget about its help to create a personalized migration plan by guiding you on implementation hence making your plan a success. Box shuttle provides one with full visibility throughout migration process and gives you control over your data during migration. We had some small issues during our first time implementation but layer everything seemed more simpler that one would thought. Our company entails large amount of data which we mostly store in data server and cloud storages. Sometimes we need to transfer the large amount of data and Thanks to Box Shuttle since from when we employed it, our migration process became even more simpler. What File Migration solution do you use? Box Shuttle was a great program to help us move our data from a windows file server to Box.com. The consultants were very helpful and answered all of our questions and brought in more people to help educate us when necessary. I wish they took a more proactive approach to mitigating errors. 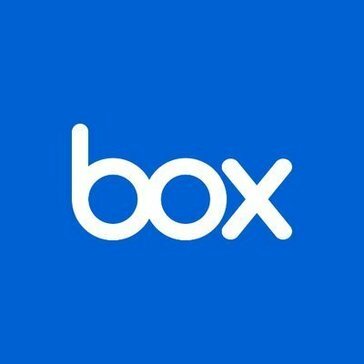 They gave us a list of files that could cause issues with Box (there were not many) but did not offer to make the necessary changes on our behalf. Make sure you address potential errors fully before transferring. "Enterprise membership not worth the value"
Box provided us with many instructional videos to help get us started. Also, it is very safe and fast compared to other transferring services. The features were quite overwhelming for our employees to understand. Although there were plenty of resources, employees could not get the hang of how to transfer content quickly and seamlessly. We ultimately cancelled our enterprise level membership. Helped us move a large amount of old files into our new file server. Useful for encrypted data. It's annoying having to be connected to my companies server in order to access company files. Sharing large files- easily collaborating across partners. * We monitor all Box Shuttle reviews to prevent fraudulent reviews and keep review quality high. We do not post reviews by company employees or direct competitors. Validated reviews require the user to submit a screenshot of the product containing their user ID, in order to verify a user is an actual user of the product. Hi there! Are you looking to implement a solution like Box Shuttle?